As the peak period of snakebite approaches, Nigeria is hit with the paucity of Anti-Snake Venom (ASV), according to the Managing Director, Echitab Study Limited Guarantee, Nandul Durfa. Durfa, whose outfit is solely in charge of collecting and distributing Echitab ASV in the country, told the News Agency of Nigeria (NAN), yesterday in Jos, the Plateua State capital, that there were “less than 200 vales left for the whole country’’. “We have very few vales left. Our ASV supply is depleted. What we have is less than 200. “We are expecting the next supply of 2,000 vales from Micropharm Ltd in Wales, UK, in the middle of March. On April 22, we shall also collect more ASV from ICP University in Costa Rica. “But, my fear is the next three to four weeks. The quantity in the store is so little. The situation is particularly frightening because this is the peak period of snake bites. It could be disastrous. “Snakebites are more rampant at this period because of the heat. Snakes are cold-blooded animals and are usually forced out of their hiding places when it is hot. “It is also a period farmers come out to clear their farms, preparatory to the farming season. “Rats go to yam farms to eat yam; snakes go to the farm to wait for the rats. When farmers reach their farms for the harvest, they get bitten,’’ he explained. Durfa said that children, who hunt for rats, also come in contact with snakes. “Very often, these children insert their little fingers into holes and get bitten by snakes,’’ he said. “Some of these centres sometimes receive an average of 16 cases per day. The Kaltungo centre received 3,086 cases last year. If the situation gets as bad as we had last year, some patients may not have ASV,’’ he said. The expert, however, commended the TY Danjuma-led Presidential Initiative for the North-East, for procuring some ASV for the snake treatment centre in Kaltungo Hospital. “That effort has brought some relief to the patients that throng that centre on daily basis. We want voluntary agencies, NGOs and state governments to also procure the ASV to help the victims,’’ he said. 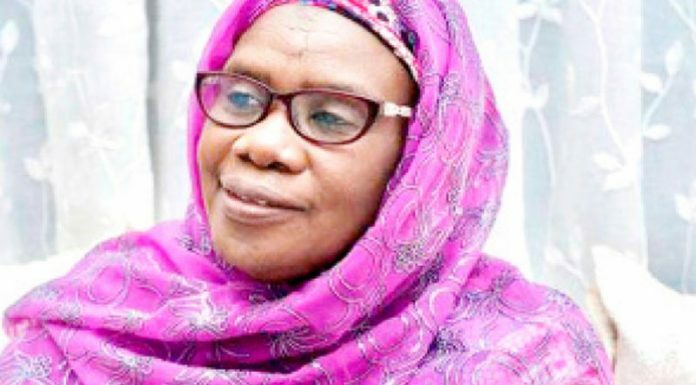 Durfa advocated a closer partnership between the agriculture and health ministries, to cater for the victims of snakebite, pointing out that those affected represented the class that “must go to the bush to feed Nigeria”. “Government policies are tailored toward attracting more people to the farms. We must also be interested in what happens to people when they go there,” he said. “In 2006, Chief Olusegun Obasanjo, then President, approved the production of the ASV in Nigeria, using MDGs funds, but the initiative did not come to fruition,’’ he lamented. “The only time we can have enough ASV to meet our rising demand is when we produce it locally. That is the only time we can determine our fate. “The partners are ready and willing to transfer the technology for the production of the ASV in Nigeria, but the nation has not been forthcoming,’’ he lamented. Durfa said the production of ASV was usually a long process lasting an average of three months and involving the transportation of live snakes from Nigeria to the producing countries. “The producing centres have specific periods allocated to manufacturing the Nigerian variant of the ASV. No matter how pressed we are, we must wait for that period. The only way to make the drug readily available and cheap is to produce locally,’’ he said.